This weekend was the annual Twilight Tour at Bacon’s Castle. The weather was perfect, and there was a good turn-out of visitors both nights. 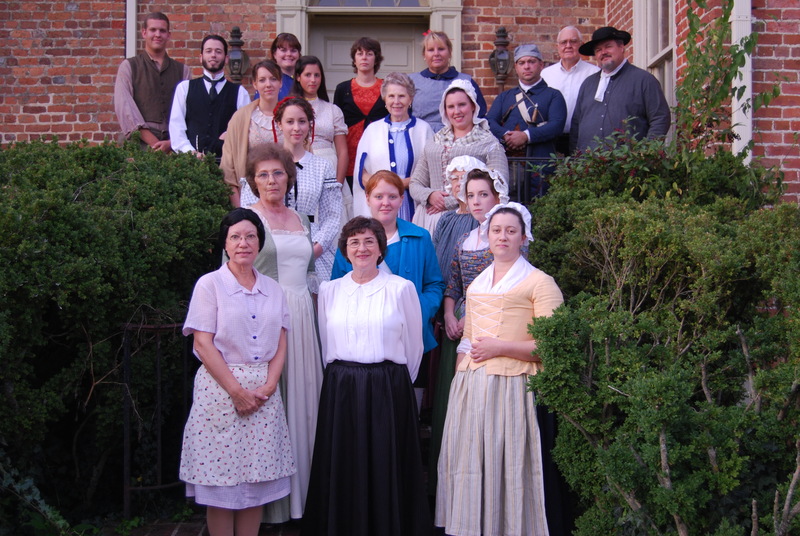 These are the participants, which included: admissions and gift shop sales, tour guides and the “actors” portraying former residents of “the Castle”. Bacon’s Castle was built in 1665 by Arthur Allen. It has known many residents. And, as is the case with most old homes, it has its share of ghost stories. 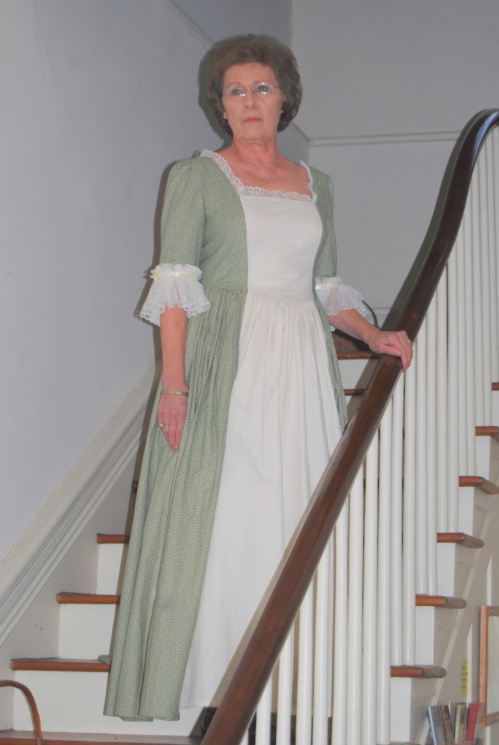 The first “resident” that guests met during the tour was the “lady on the stairs”. No one really knows who she is, but she has been seen by many visitors to the home through the years. She was often blamed when things happened with no explanation, such as furniture moving and mysterious sounds. The next stop on the tour was one of the bedchambers, which has been restored to look the way it would have in 1665, when the house was built. These young ladies portrayed members of the original Allen family. In 1676, the home was overtaken for three months by followers of Nathaniel Bacon during Bacon’s Rebellion. (Prior to that, the house was known as Allen’s Brick House). 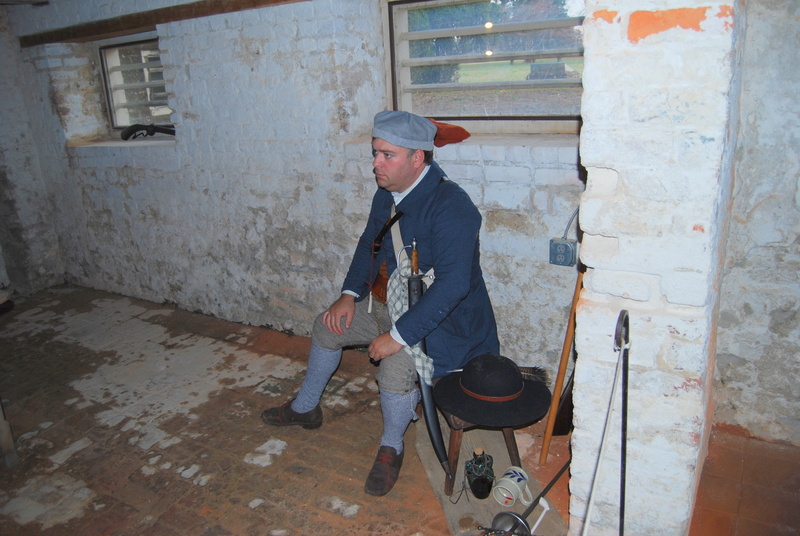 Although the Allens fled the home during that time, the servants remained there. 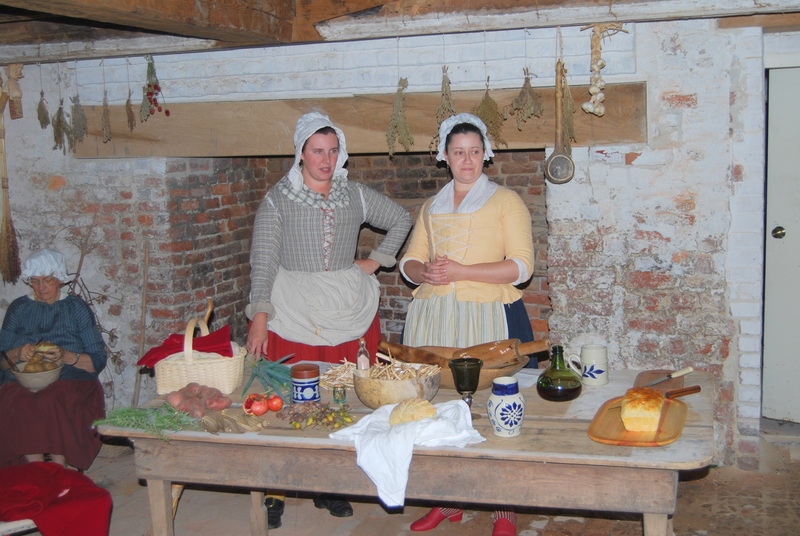 The rebels ransacked the house, helping themselves to the Allen’s food, wine and valuables left behind by the Allens. 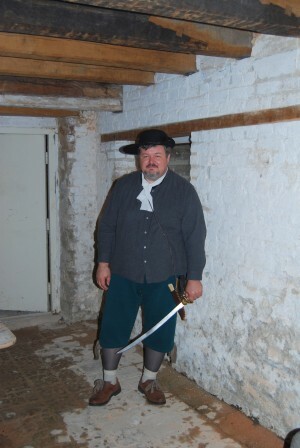 The next skit on the Twilight Tour took place in the cellar and featured the Allen’s cooks and two of Nathaniel Bacon’s followers. Coming tomorrow: the remaining Twilight Tour skits.